Some degree of fear and anxiety is inevitable in life. But for some people, these emotions can become truly debilitating, keeping them trapped in cycles that can lead to depression and even chronic pain. So how can we help patients better manage fear and anxiety when they come up? Below, you’ll find a simple exercise that anyone can use to work through these painful feelings. It’s courtesy of my friend Ron Siegel, PsyD. 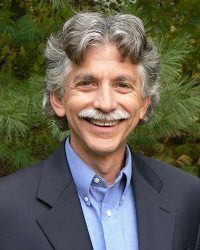 Ron is an Assistant Professor of Psychology, part time, at Harvard Medical School, an internationally-renowned teacher, a long-time student of mindfulness meditation, and a well-known author. One of the first things we notice when we pick up mindfulness practice is how often we have frightened thoughts about the future. We think over and over about the future — hoping for pleasure and dreading pain. And even the most subtle thought can cause anxiety. It’s remarkably easy to see this for ourselves. Just take a moment to think about something that makes you anxious (it shouldn’t take long to come up with this). Is it a thought of the past, the present, or the future? Sometimes people say, “I’m really anxious about what happened this morning.” But on closer examination, we realize we’re actually anxious that we’ll be incarcerated tonight for what we did this morning. So it’s not surprising that one of the ways mindfulness practice can help us with anxiety is simply by training the brain and mind to bring attention to the present moment. Since for many of us, the present moment is usually pretty safe, doing this can really help cut anxiety. The other way mindfulness helps is a bit more counter-intuitive. We’re hard-wired to find anxiety unpleasant. After all, if we weren’t, we might gravitate toward dangerous situations, and eventually this would keep us from passing our DNA on to the next generation. Ancient hominids who didn’t find anxiety to be unpleasant probably weren’t our ancestors – they mostly died off before reproducing. So naturally, we want to get rid of unpleasant anxious feelings. But attempts to avoid anxiety are actually the fuel at the heart of most anxiety disorders, keeping them going. In a mindfulness-oriented approach, instead of trying to get rid of anxiety, we help our patients increase their capacity to bear it. What he’s saying is when the fear or dread arises, instead of doing something to try to feel better and make it go away — he’s going to stay with it. He’s going to ride it out, until it goes away by itself. Start by bringing attention to some sensation in the body – perhaps the breath or another object of attention. Continue gently returning the attention to this object for a few minutes. Next, see if you can locate some anxiety within the body. Just notice how it feels. anxiety going strongly enough to be able to practice feeling it, but not to be overwhelming. If the sensation of anxiety starts to fade, do whatever you need to do to bring it back. Keep breathing, and keep practicing just welcoming and feeling the fear. It’s best to introduce this practice at the beginning of a therapy session. If you give the exercise enough time, and keep encouraging your client to breathe and welcome the anxious feelings, eventually almost everyone will have difficulty maintaining the anxiety. This can be enormously helpful, since it’ll help clients see that simply being with fear allows it to come and go like all other mental content. And this can really help crystallize for folks that it’s often the attempt to make anxiety go away, not the anxiety itself, that traps us in anxiety disorders. Now I’d like to hear from you – how have you used mindfulness practices in your work with anxious patients? Please share your experience in the comment section below. The article you shared here is awesome. ı lıke it. Thank you for this article! Some of my clients have spent much energy trying to avoid anxiety. I work with them first to normalize the feeling of anxiety, and how anxiety can often be a helpful signal to let them know that they may need to work out a plan to keep from dwelling on their anxiety unnecessarily. Slow beep breathing and calming self-talk have been helpful tools for my clients. It is helpful for clients to hear and understand that anxiety doesn’t last forever. It is easy to fall into a cycle of fear, worry, and negative thoughts. As far as I can remember, I was taught to meditate using visualization of something such as a candle burning and to come back to the image as well as to the breath when the thoughts float. I like to this visualization because of the point of the candle lights that is the center of the guided imagery, but I also enjoy Tara Brach idea of the see shore or watching the waves. The IUT has its own therapy tool. I do believe they can be a pop-up nightmare. This seems to be a variation on flooding which is such a powerful tool for troubling intrusive thoughts. Very simple and effective strategy for anxiety. Thank you Ruth. I have used the breath and mindful walking to sooth very anxious clients. I will use this strategy as soon as I am able and note the results. Thank you for your advice. I used this with a couple of clients today and it was very helpful. Thank you! I’ve had success introducing mindfulness by asking a client to clench their fists as tight as possible and then release them, shaking their hands and fingers. I then ask which feels better. The majority state the relaxed hands and fingers. I may also ask them to tighten and relax their jaw, a frequent place of tension, which is easily accessible and understandable. After doing this practice, I will watch a client’s body language to see if they are tensing, stop the session, and suggest attention to the tense spot and offer time for a deep breath. How wonderful that the Buddha is mentioned in this. I think that western psychology can forget at times or some people may not even know that mindfulness is a practice that is thousands of years old. I have been a long term practitioner of mindfulness and I have experienced more and more on a deep level the anxious thoughts and how that affects the body and how they dissolve when you just notice them and don’t judge them and just allow them to be and come back to your breathe. I’m totally blown away by your philosophy. Thank You. It’s important that the client is adequately resourced with empathy when helping them face their demons. I have suffered from severe and constant anxiety induced by a harsh inner critic since childhood. I have struggled to master techniques to “prune” and rewire anxious neural pathways for 20 years. With the wisdom of Dr. Dan Siegel’s mindfulness work, I’ve made good progress in the past year. Helpful, but few mainstream psychotherapists know and teach these strategies. I am looking for technology based therapies that actually focus and direct the client step-by-step to use Siegel’s strategies. At 68, I have little time to repair my childhood trauma and feel joy more often than depression and anxiety. Usually in my therapeutic practice I don’t encourage my clients to get rid of anxiety feelings when approaching a thought or a task, but befriend them as they prepare to think or do something that frightens them, in a way similar to the proposition above. That was a great and inspiring read. It reminded me of The Welcoming Prayer Practice which I teach at a Contemplative Prayer group I facilitate. Thank you, Ruth, for sharing such wonderful readings. You are greatly appreciated! I find the internet very helpful, I google any topic I want and I get tons of information , subject , and modalities , may be some thing will work for you. Therapy should be short , not years. You need to get to the root of any issue. Write a letter to who ever and poor your heart out, and through it or burn it, I sit still and talk to what ever part of my body that is aching make peace and send it on a one way ticket on a vacation . I found these methods very effective. The past is gone, let it go. Stay in the present and move forward. Forty years of therapy and many modalities is too long and expensive. You will also find all kind of meditations with soothing music, You name it. I hope this will helpful. It is facing the anxiety instead of trying to get rid f it that allows t to shift. What we resist persists. To face it you need to feel safe but in your history here was a moment where you felt unsafe, with good reason, so it is hard for you to trust another and develop good radar about who is trustworthy. With courage and support of a person who is comfortable with notional intensity you can access the original fear, be comforted, express the pent up feeling and get relief. The feelings will become less scary. Good luck in attracting the right witness or facilitator. In essence this is similar to the Welcoming Prayer which is practiced in daily life alongside Centering Prayer (based on The Cloud of the Unknowing). I have found it a very liberating practice. I have suffered with anxiety for the last two and a half years. It left me for a few months before Christmas but is back again. I wake up feeling anxious not about anything in particular. I am anxious about the day ahead and the challenges it brings.. I have isolated myself from people as engaging with people heightens my anxiety. I have no specific worries so when Ron suggests to think of a worry I have I can’t think of one. It is generalized anxiety. So I try mindfulness and the knot will not leave my stomach. I have tried many therapies including medication without success. I feel like I am in a permanent state of hyper arrousal and constantly in freeze state. I would love to hear some suggestions for what might help. I am a trained psychotherapist but had to stop practicing when the anxiety arrived. I would be grateful for any suggestions. Try slowing your breathing for a period of at least 5-10 minutes. It helps if you also lengthen your outbreath to about twice the length of your inbreath. If you like, you can do a count of 3-4 on the inbreath and a count of 6-8 on the out, or whatever count feels right to you. If you’re familiar with Stephen Porges work you will know that these actions stimulate the parasympathetic nervous system, which dampens the sympathetic, or fight-flight system you referred to. In addition it can help to picture something that gives you a feeling of gratitude, such as a pet or a nature scene. Gratitude is also parasympathetic activating, so any gratitude practice that you add in should be helpful. Have done some confronting the antagonist to the fears our clients have been and recently I have found that I have been going back to my hypnotherapy and this has helped many face the truth the fear and needs to be titrated very gently. Thanks for bringing more credibility to the process as I know that this work is the best I have ever experienced personally. what I have found that even when it does not take the path I would have chosen and worried that it might be an avenue for then to give up, they come back and seem to like the process. I must say it is harder to do for me emotionally, due to that very doubt, even though I really set it up before even trying. 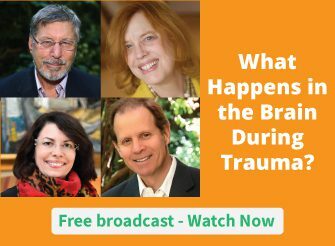 I hate to say, it seems that clients are more traumatized not after my session, but from a dose of a news broadcast, so this does complicate all our healing techniques. I know this is not a subject for this forum but I would not know where else to address it within any commuinity. If it does not get addressed, then where do we go to process mindfulness and the reality of the world lately, knowing our own country is not making it better, when up to now, I do think we had been an effective country for peace. Even a snowstorm is harder to handle lately. Inna, Not sure this will help as it is new to me but musis is not as I am a music therapist. Stephen Porges beleves that even mindfulness cannot be affective if our nervous system is frozen. He offers some helpful advice regarding this. I found a pillow that his institure sells that plugs into music he recommends to help the process of what he calls neuroception as a need to calm down I bought my granddaughter a pillow and hope it helps. She also uses a gravity blanket, as she was adopted from India but they would not allow her out of the orphange for many years, so her first two years of life were repressed there. She suffers even now. I wish this forum would offer us all the ability to learn his trainings for hearing and healing. I think we all could use it as even if you are a therapist and had not trauma you hear all sort of trauma that can cause trauma. Wish you well. Daniel Amen is on PBS and you might find that helpful. I have studied with him in the 90s and leaned so much about the many subtypes of ADHD. That can be helpful and he has tests to determine the extent of anxiety and depression and the parts of the brain that is affected because he knew everyone might not be able to afford his spect imaging. The tests are set up with this in mind and I use them all the time with clients. Sorry, could not edit my errors, but neuroception is the state of being in a frozen state which this pillow can help. Have not tried it but my granddaugher likes her gravity blanket which is supposed to help those early years, I imagine. So sorry for my misspellings. I know how hard this can be. I had very chronic anxiety for most of my life. I still get it occasionally, but mostly not, and when it arises I know how to manage it out of my mind again. Try and find the little moments in your life when you don’t have the anxiety, and celebrate those moments with a ‘yes’. Most of my anxiety came from being too identified with my thinking mind. Ruminating about the past, and worrying about the future. When I feel anxious I check in and ask where are my thoughts. Then bring them back to the present moment, the breath, the feeling of my legs on the chair. I encourage you to keep practicising mindfulness techniques, and keep edging the anxiety out, even a little bit, and then a little bit more. Inna: Have you tried any 12-step programs? They are not all for addiction. There may be one that resonates with you. They can be a safe space to start building empathy for one’s self and feel one’s feelings, and are free. I think that cis brought up an important observation about anxiety( in some cases) that may be caused by hormonal imbalances. It’s known that ongoing stress/anxiety can cause the release of cortisol, which in turn decreases testosterone. So it’s probably a good idea for anyone with ongoing anxiety/stress to get tested re this to eliminate any possible physiological factors. Thank you for the excellent articles! How does one use this approach while driving a car on the highway at 65 mph? I’ve actually had to use something like this on the freeway when I couldn’t pull over. I kept repeating to myself that it’s only anxiety and anxiety itself cannot harm me and remembering to breathe (I realized I had been holding my breath). I focused on how the steering wheel felt in my hands, how the seat felt against my back, how the belt felt across my lap and chest. Anything to try and stay present and alert on the road without letting my anxiety around the possibility of an accident get in the way. After a few minutes it wasn’t as bad. I was still anxious but could be with the anxiety in a safer way, if that makes sense. Thank ya 4 sharing. i can relate to this : my anxiety level got better , & i learned to control it well. It hasn’t happened during my driving! Usually its occurs during my sleep, i am thankful that i learned to stay and keep the whole body relax & keeping my mind free , relax while bearing the discomfort 4 a short time It is really worth the practice. It took me a while to get use to this. And now feel more confident that thing will be all ways getting better. Ruth you’ve been helping people like me for a long time now. Thanks a lot. It’s very interesting to see there has been no reply from Ruth about the concerns of therapists and clients saying that mindfulness might re-traumatise some people. I really hope she is taking note and puts some cautionary notes in her future articles, so that she doesn’t come across as someone who is providing information for commercial gain only, as Dr Johnathon suggested. This practice reminds me of “feel the fear and do it anyway”. It sure is easy to say, and practicing it makes it easier. Thank you. So much jabber in the comments by the self aggrandizing. There is an adage in A.A., “take what you will and leave the rest.” I won’t be taking much from you “experts,” as one who has been beaten nearly to death by anxiety and the associated other afflictions I will entertain any process that looks hopeful and has stated or implied cautions. Having vented. I must write that I will test this process hoping for positive results, as I have SGB injection for PTSD treatment (www.sgb4ptsd.com or FB page SGB4PTSD) with very helpful results, not a cure but an effective tool. Also, I am just beginning to be treated, by a MH therapist, with EMDR and these results are also encouraging. that makes me somewhat “expert” in terms of what is effective FOR ME and what is not. But, nothing ventured nothing gained. One last item, try to not be so viscous in speaking unhelpful diatribe about anothers Faith. God Bless you in Jesus name. Great article! I tell my clients frequently to say, “Oh hi! You’re back! You’ve been with me for years!” I recommend that they embrace the anxiety and remind themselves that at one time, it served a purpose for them. It’s not about trying to ignore it, trying to make it go away, or becoming more anxious about having the anxiety. Encouraging clients to accept what it is and to stay in the moment (stay present) is helpful. I also acknowledge that it’s so much easier said than done! I am not enamoured by what Buddha said, so I have offered an alternative. Greetings. I think it is irresponsible to provide such limited information to the general public. To welcome fear without first having the experience of effective breathing techniques and some previous experience of mindfulness may evoke the experience of anxiety without the client finding an effective solution. You do not specify the age of the client who can do this. You do not provide information about the psychological state of client who can do this. You do not provide information about whether it is suitable to do this at home and unsupervised. This appears as if you are providing this information for commercial gain only. Please rethink your approach. Wow and wow, too much content flooded in and you became re-traumatized. Ouch! Mindfulness excercises without containment and careful titration can be unbelievably upsetting. I think the author of this article has himself said in the past that mindfulness is not for everyone. I can understand your distrust of experts, but would invite you to suspend your disbelief for one last time and look into SE (Somatic Experiencing), which employs somatic mindfulness and/or imagery, but emphasizes introducing (into a sea of comfort) only a teeny “molecule” of upsetting material. Titration is the difference here. Please consider reading The Trauma Vortex by Gina Ross. Or almost anything by Peter Levine. I’m so sorry you had that experience. Thanks for posting; what you said was vitally important for everyone to hear. I WAS NOT DOING THE EXERCISE. I WAS SIMPLY SCANNING THE SCREEN. A GLANCE AT ONE ASPECT OT THE EXERCISE, AS MENTIONED IN MY PREVIOUS COMMENT ABOVE, AND THIS WAS ENOUGH. THERE IS NO NEED FOR MUCH CONTENT. A DETAIL SUFFICES. I HAVE SUCH EXPERIENCES FROM TIME TO TIME. I SUFFER FROM PTSD (THE NOW CALLED CPTSD AND C-PTSD VERSIONS). I DO NOT GET RETRAUMATIZED. I AM TRAUMATIZED ON A PERMANENT BASIS. IT HAS AFFECTED ME NEUROLOGICALLY TOO ON AN ON-GOING BASIS. I AM ONE TO TRY ALL KINDS OF APPROACHES (I AM FINE WITH MINDFULNESS AS I DO IT ON A DAILY BASIS AND HAVE DONE SO FOR YEARS; I HAVE TAUGHT IT TOO). I AM CURIOUS AND LOVES TO LEARN. I HAVE DONE AND TAUGHT VARIOUS FORMS OF SOMATIC WORK. TO GREAT BENEFITS. I STILL DO. I WILL LOOK INTO THE BOOK BY ROSS, AS SUGGESTED BY YOU. THIS WILL BE NEW TO ME. AS FOR LEVINE, I AM NOT THAT KEEN ON HIM. AS FOR TRYING NEW METHODS AS SUCH WITH A THERAPIST, I CANNOT AFFORD IT. I STRUGGLE TO MAKE ENDS MEET ENOUGH AS IT IS. I HAD A FIRST EVENING OF ART THERAPY AND FOUND IT VERY HELPFUL ON MANY ASPECTS. I WAS ABLE TO DO IT IN A GROUP FOR LITTLE MONEY. I WILL DO IT AGAIN, WHEN OFFERED. OTHER THAN THIS, I FEEL A DEEP NEED TO AVOID TALK THERAPY. I PREFER MY OWN SILENT VOICE. SO I AM NOT IN A STATE OF DISBELIEF. I SIMPLY SEE ALL THESE EXPERTS IN PTSD WHO DO NOT SUFFER FROM IT, IN MOST CASES, WHO OFFER ADVICE AND SUPPORT BASED ON RESEARCH AND THEORIES THAT ARE GOOD TO SOME EXTENT, BUT IGNORE OR SEEM TO IGNORE THAT EACH OF US IS UNIQUE, UNIQUE IN TIME AND SPACE. SOMETIMES I AM ALL FOR WHAT IS OFFERED. SOMETIMES, AS IN THIS CASE, BECAUSE OF MY EXPERIENCE THIS TIME, AND NOT THE PREVIOUS ONE(S), BACKFIRED. THE EXERCISE MAY WORK FOR MANY AND EVEN MOST PEOPLE, BUT IT DID NOT DO SO FOR ME, WHEN SIMPLY RAISED TODAY. I HAVE BEEN IN A PROGRAM FOR MEN WHO HAVE BEEN SEXUALLY ABUSED. PART WAS VERY GOOD: ITS INFORMATIVE SEGMENT; PART WAS TRAUMA AND ABUSE RELIVED: ITS GROUP THERAPY SEGMENT. AND THE PEOPLE IN CHARGE ARE ALL HOOKED UP TO WHAT IS OFFERED IN THIS COMMUNITY. I WANTED TO SHARE MY REACTION TO THE EXERCISE SUGGESTED (THEY MAY EVEN READ ME AND RECOGNIZE WHO THEY ARE). I AM GLAD YOU FOUND IT VERY IMPORTANT. WHAT HAPENNED THOUGH AFTER I RECOVERED FROM THIS MY LAST PTSD CRISIS HAD VERY BENEFECIAL RESULTS FOR ME. THE KEY FOR THIS WAS THE ABSENCE OF MEMORY. I COULD LINK MY DIARRHEA TO MY PTSD AND TO THE HEALTH CARE FIELD. YET, THIS WAS INSUFFICIENT TO CARRY THE DAY. AND IT IS THEN THAT I MADE A CONNECTION TO MY MOTHER AND SOME POTENTIAL TRAUMA IN HER LIFE THAT MAY HAVE TO DO WITH THE SAME MEDICAL UNIVERSE. IT MAY EVEN HAVE AFFECTED HER OWN MOTHER. I MAY VENTURE TO SAY THAT I CARRY IN ME TRANSGENERATIONAL TRAUMAS FROM THE MATERNAL SIDE (I SEE IT WITH MY FATHER AND MATERNAL AND PATERNAL GRANDFATHERS). I WANT TO LOOK INTO THIS FURTHER. I WILL LET MY CELLULAR MEMORY SURFACE AND I WILL TALK WITH MY MOTHER TOO. I FELT HAPPY WHEN I READ YOUR RESPONSE. THANKS FOR IT AND TAKING THE TIME. I WENT TO GINA ROSS’S SITE AND HAD A LONG LOOK AT IT. I AM WONDERING WHY YOU RECOMMENDED I READ HER BOOK. HER APPROACH SOUNDS RICH AND HELPFUL, BUT IT HAS TO DO WITH THE COLLECTIVE. WOULD YOU LET ME KNOW THE REASON FOR YOUR SUGGESTION? ON THE OTHER HAND, I SHARED HER SLIDE PRESENTATION ON MY FACEBOOK PAGE. I HAVE FOLLOWED THE ISRAELI-PALESTINIAN CONFICT, WITH ITS MANY FACETS, FOR YEARS AND HAD NEVER HEARD OF HER WORK AND APPROACH. I WONDER WHEN RESULTS WILL SHOW UP. I SEE A FUNDAMENTAL FLAW IN WHAT WAS PRESENTED IN HER SLIDES. IT IGNORES THE FACT THAT PALESTINIANS ARE NOT A NATION, AS PORTRAYED BY MOST PEOPLE, BUT A GROUP OF TRIBES TO WHOM ARE ADDED THE PEOPLE OF GAZA. AND TRIBES BEHAVE IN A WAY THAT HER APPROACH WOULD HARDLY HELP. I KNOW OF OTHER APPROACHES THAT TAKE THIS INTO ACCOUNT, LIKE KEN WILBER’S INTEGRAL ONE AND DON BECK’S SPIRAL DYNAMICS AND ANOTHER ONE BY AN AMERICAN WOMAN OF LIBANESE ORIGIN ABOUT INDIGINOUS INTELLIGENCE. BUT NONE DEALS WITH TRAUMA AND ITS EFFECTS IN PEOPLE AND I HAVE NOT NOTICED ANY LEVEL OF PSYCHOLOGICAL MATURITY IN THE PROPONENTS OF THE LAST APPROACHES THAT I HAVE COME ACROSS IN DIFFERENT WAYS. I HAVE FOUND VIOLENT AND JUDGEMENTAL BEHAVIOURS TO BE FAIRLY COMMON AMONG THEM. I CONCUR THAT HEALING TRAUMA WOULD BRING FORWARD ANY DREAM OF RESOLUTION. EFT HAS BEEN USED COLLECTIVELY IN SAFED TO THIS PURPOSE. I WONDER HOW SUCCESSFUL IT HAS BEEN. A VERY GOOD COMPONENT OF ROSS’S METHOD IS THAT IT INCLUDES ALL THE ASPECTS OF THIS CONFLICTS, MINUS THE ONE I REFERRED TO ABOVE (I.E., THE LEVEL OF CONSCIOUSNESS) AND THEY PLAY A MAJOR ROLE THAT IS NEVER CONSIDER BY OTHERS. SO, BACK TO MY QUESTION: WHAT HAS GINA ROSS’S “HEALING THE TRAUMA VORTEX” GOT TO DO WITH ME PERSONALLY, OTHER THAN MY INTEREST IN COLLECTIVE CONFLICTS AND WHAT IT MAY SAY ABOUT MY INNER SELF? I deal with this from a Christian perspective by addressing establishing the peacefulness of spending time in prayerful meditation. Trusting in the Lord allows the anxiety to be an emotion that passes with out alarming. Establishing basic affirmations of a healthy relaitonship with God through the scriptures allows the person to experience their anxiety without fear. I have been doing this for decades and it is very effective along with a reminder that what we resist,mpersist and what we face and express transforms. Through mindful awareness of the feelings of anxiety and even the thoughts, I’ve come to learn that anxiety isn’t so scary. I’ve come to understand its nature: it often lies, and it passes. I’ve learned to notice and mistrust my anxious thoughts when they are future predictive, overly negative or extreme in any way. Sure I still have triggers but the anxiety is not sticking around as it used to. I’m grateful for all the teachings that have helped me decrease my suffering. And I’m thankful I can share this wonderful opportunity for healing with others, knowing it works. Thanks for sharing this very useful exercise. Mindfulness is a part of practice when I am teaching my clients how to connect to the body and learn how to breathe deeply or other “in the moment” sensory exercises to calm the body. I can see problems with this when dealing with people with Panic Disorders as unless they learn other methods to decrease the panic their system can get overwhelmed quite easily with heart palpitations, etc.. I know it can be helpful but I would put a word of caution in for Panic sufferers who haven’t learned to calm their anxiety at all. Do you think it would work in that case too?